What’s a Pirate without a Crew? Companions in Pirate101! Please Note: KingsIsle has provided special permission for me to post on this topic and has asked me to remind everyone that the NDA is still in place! Being a pirate captain, there’s nothing better than sailing the open aether or adventuring through thick jungles and ancient temples in search of treasure. Of course you wouldn’t be much of a pirate captain without a loyal crew of swarthy mates at your side, clashing steel and drinking yum as you sail through The Spiral in search of plunder and fun. 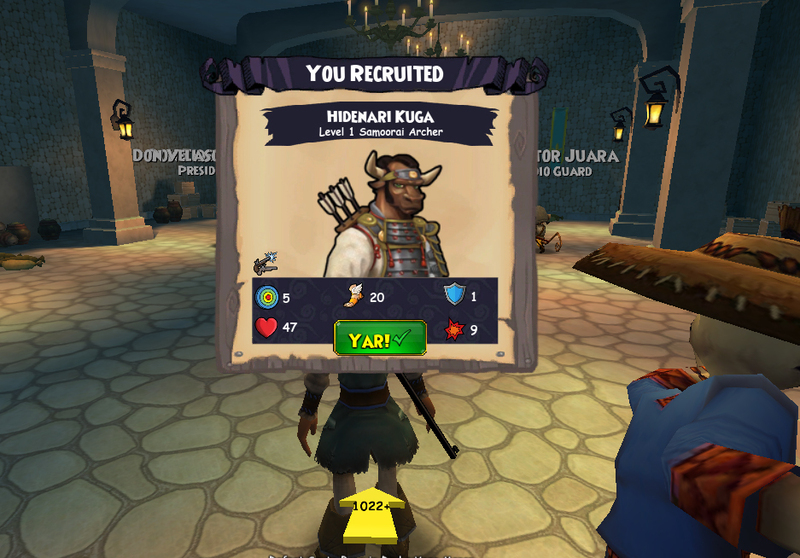 In Pirate101, your companions are your crew; they are there to offer advice and help in battles. They are also a major part of the strategy of the game, and training your companions and setting their rank in your crew is key to Pirate 101 combat. Each companion who joins your crew will have different skills and stats, and as battles get bigger and more difficult, the companions you choose can have a dramatic impact on the outcome of the fights. At a high level, the Pirate101 companion system is very simple – you gain companions through quests or other means, they join your crew, you set their rank in your crew, and you level them up with training points. When you enter a battle, one, two, or three companions will join the battle with you (depending on how many opponents and the level of the fight), and you not only control yourself, but also choose what your companions will do, including special attacks and skills. It’s simple to learn, but as you gain more companions you’ll see how much strategy is built in. who finally see the error of their ways and ask to join your crew. It’s great to get a new companion and see what skills they have when they join you. Companions can be any class and will have a wide variety of useful skills, so it’s fun to experiment with them and see how they help you in battle. Management screen has a lower percentage chance of joining you in a battle – the percentage is listed with each of your companions, and you can drag companions to higher or lower ranks to increase or decrease the chance they’ll back you up in a fight. I make sure that the companions with certain skills or abilities that will help me most are the highest rank in my crew. I also make sure the crew members I use the most are leveled up as high as I can get them. 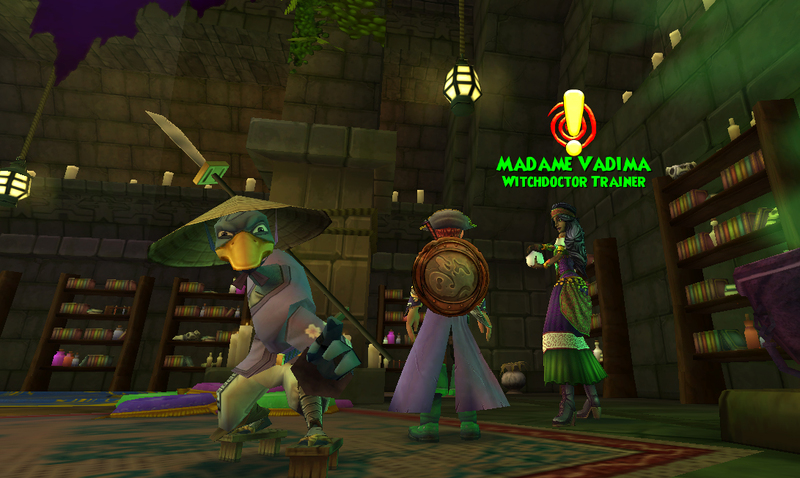 Crew member leveling is another interesting mechanic in Pirate101. Like any good pirate captain, you need to make sure that your crew is well trained so they can be most effective. As you adventure, you not only gain XP and levels for your own character, you also gain training points to train up your companions, and like your character, your companions will gain new skills and abilities as they level. Another cool related aspect to Companions is that as they level, some of your Companions can actually be promoted! At some point during your adventures, there will be a quest for them; one you complete the quest, they’ll become more powerful (always a good thing) and have a new, cooler look, maybe with new armor or enhanced weapons! One of the things I love about promotions is that if you have a Companion that’s ready for promotion, you need to go to a tavern to start their promotion quest – promoted in a tavern (in the basement, even) – it sounds so ‘Piratey’…. Training your companions is another part of the strategy of the game – since you don’t have enough training points to fully train every companion, you need to train up the companions that will help you the most and compliment your character. If you’re a musketeer, maybe you’ll want to have companions that can tank for you and can keep opponents at a distance; if you’re a swashbuckler, maybe you’ll have a musketeer and a witch doctor for ranged backup. There are lots of different strategies possible and it’s a lot of fun to experiment with different companions to see how they will help you in different scenarios. 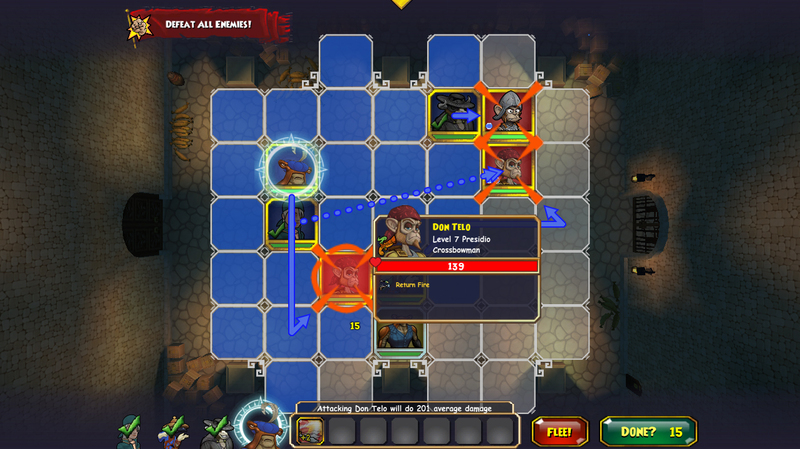 Of course, different fights will have different challenges as you level up, and this is really exciting too! Some fights are straight up battles, but some scenarios require different strategies to complete. Managing your crew as you level up and gain more companions definitely becomes a bit of an art form. Like many parts of Pirate101, companions are a fun game system that really is simple to learn and challenging to master, making your pirate captain and your overall play style unique as you choose which crew members to promote and train and which ones to leave on the ship. As I’ve been playing through the beta, I find that I am just as excited to meet my next crew member and get to know them as I am excited to gain a new level for my captain and learn his new skills. Your crew really is an extension of your character, far more than any pet system, and a big part of Pirate101 is to put together the crew that works best for you. From Skull Island to Cool Ranch, with a well trained crew that you can rely on, anything is possible as you sail the airways of The Spiral, looking for adventure! This entry was posted on August 15, 2012 by dittowizard. It was filed under Pirate101 . 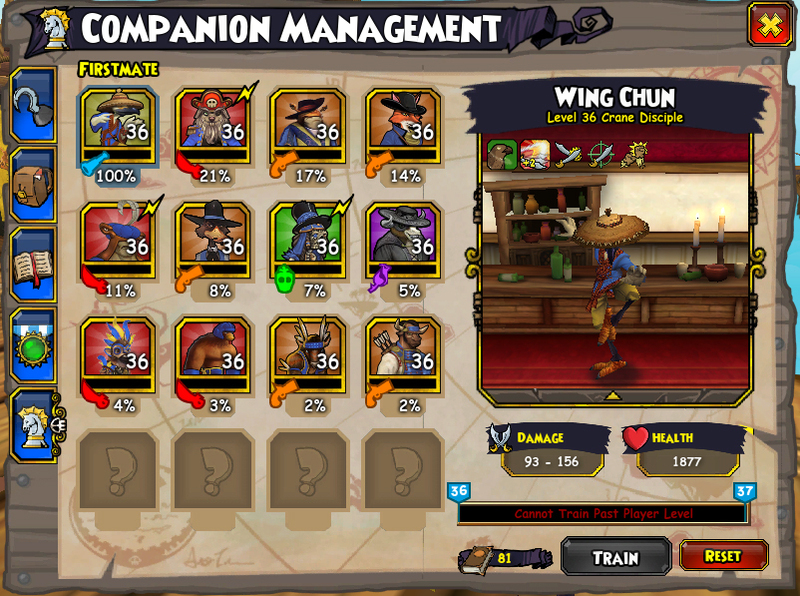 It sounds complicated, but I know that it will evolve as I level up my pirate captain. Is there a limit to crew members? I will probably use only my loyal, trusted crew members over time, so what will happen to those left on the ship? I don’t plan to leave enough rum for them to go wild with, that’s for sure! Very Interesting….can’t wait to try the game! Looks a bit complicated, but I’ll get used to it!